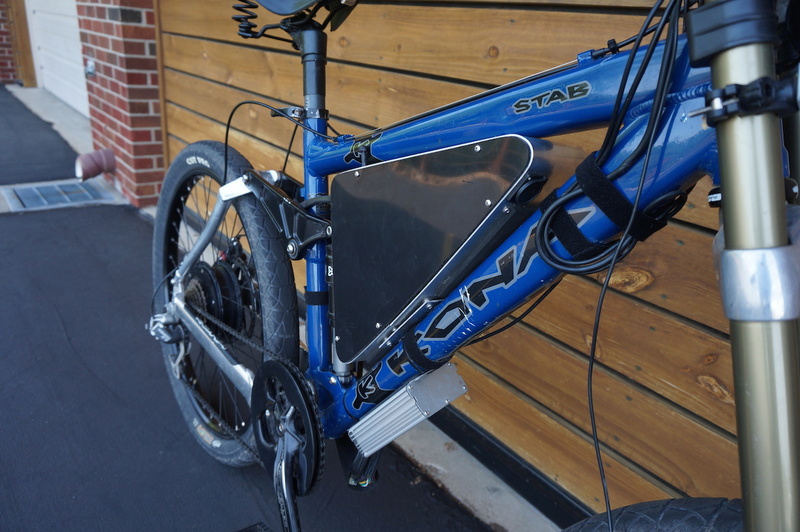 The goal for this project was to build a bike that could get to most places around town and back on a single charge at a reasonable rate of speed. 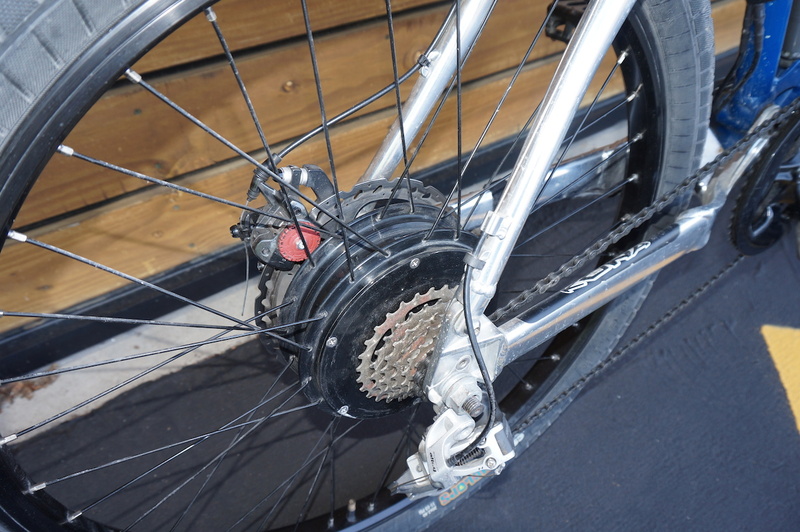 Performance was also a consideration as a good amount of torque and acceleration was also desired. 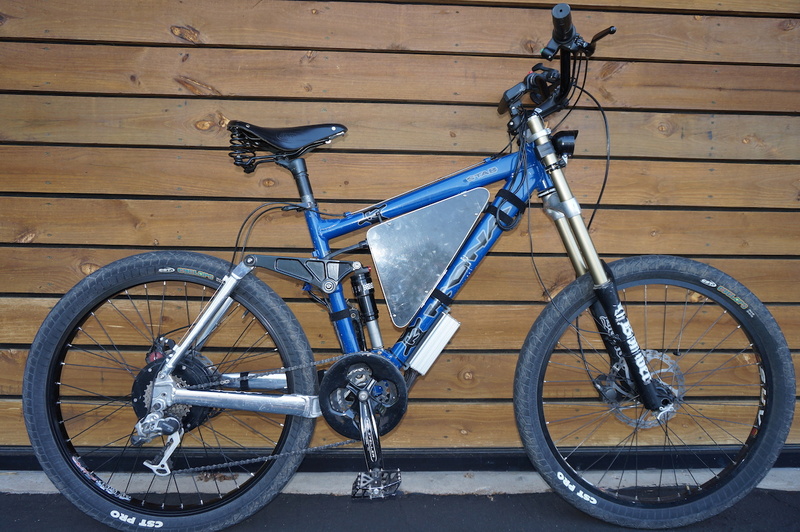 2004 Kona Stab downhill mountain bike. 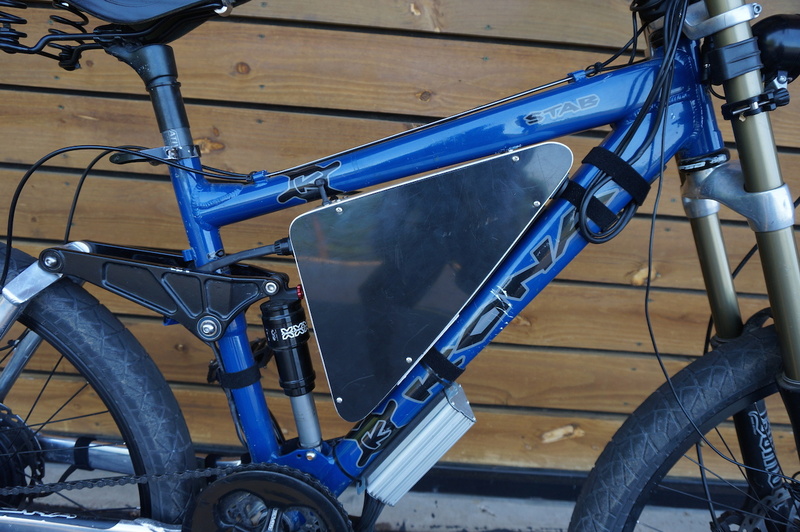 The extra beefiness of the downhill bike make it an excellent platform for adding electrics. 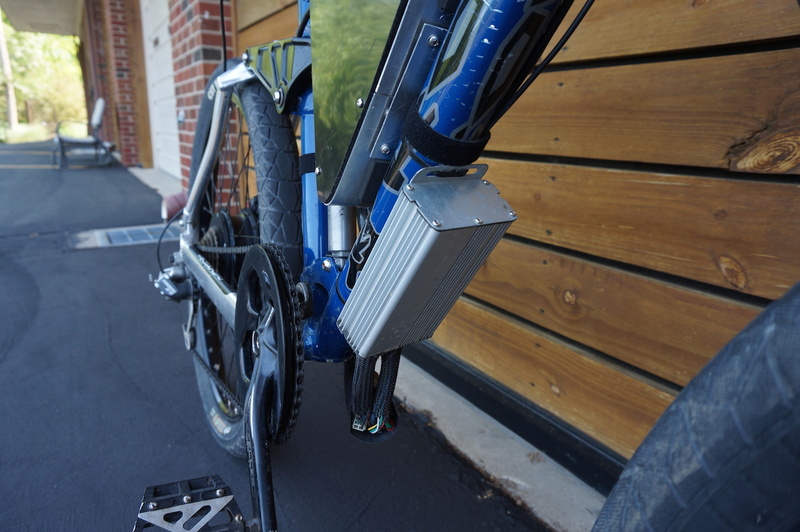 Slack head angle makes it more stable for riding at higher speeds when electrified. 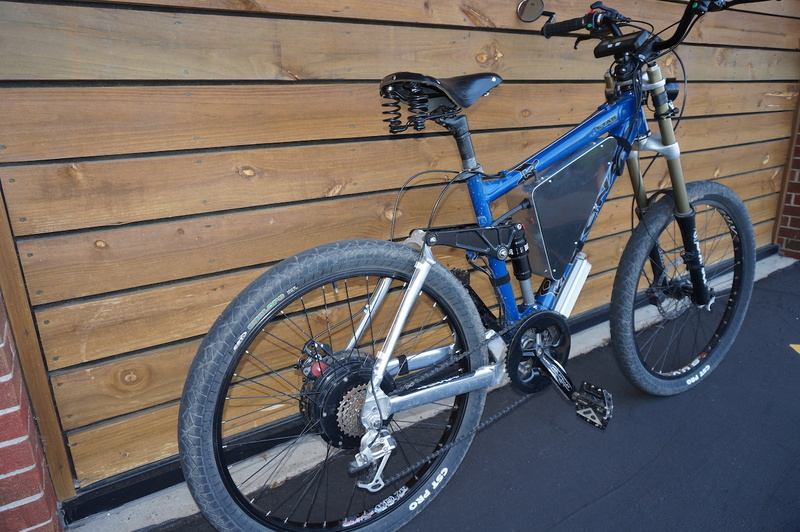 Full suspension gives a much softer ride over potholes and other road hazards. Upgrades include: 2003 Marzocchi Junior T forks, 2014 X-Fusion Air shock, Brooks saddle. 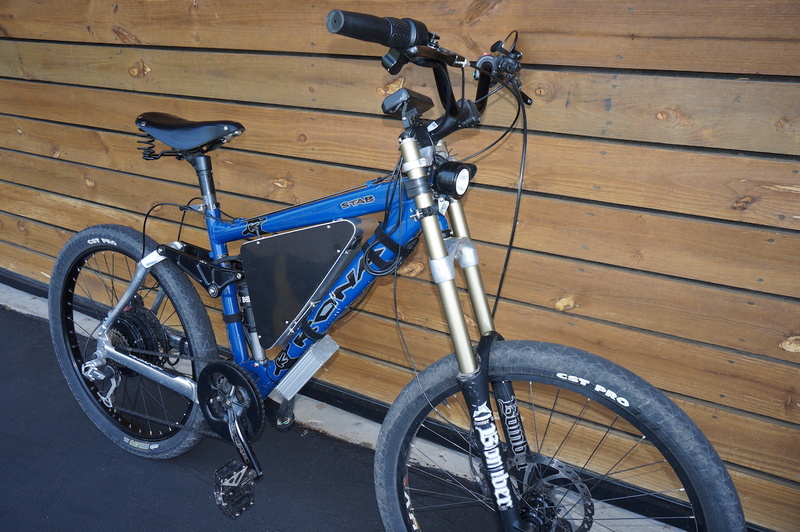 44 V, 16 AH Lithium-Ion battery is good for about 20-25 miles at 20mph average speed. Cells are Multistar 10C discharge from Hobby King, attached to a 60A BMS. 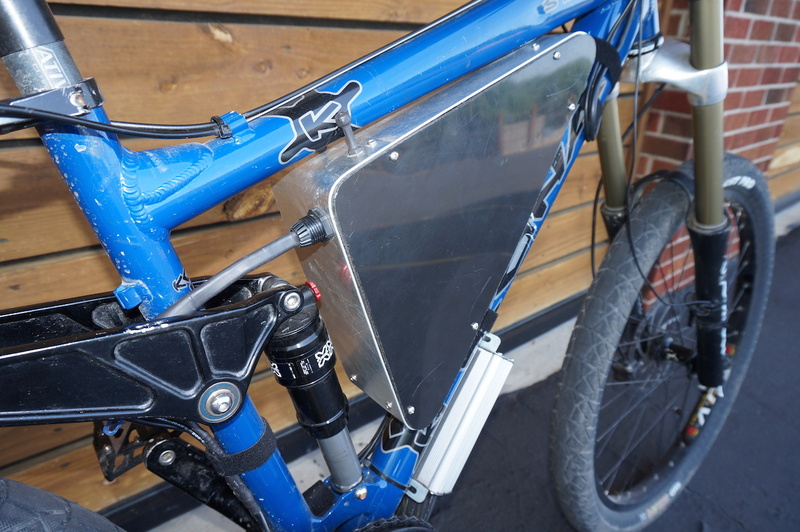 Custom aluminum-plastic triangle battery box is mounted on the water bottle mounts. MAC geared hub motor in 8T winding. 12 fet controller set to 35A. 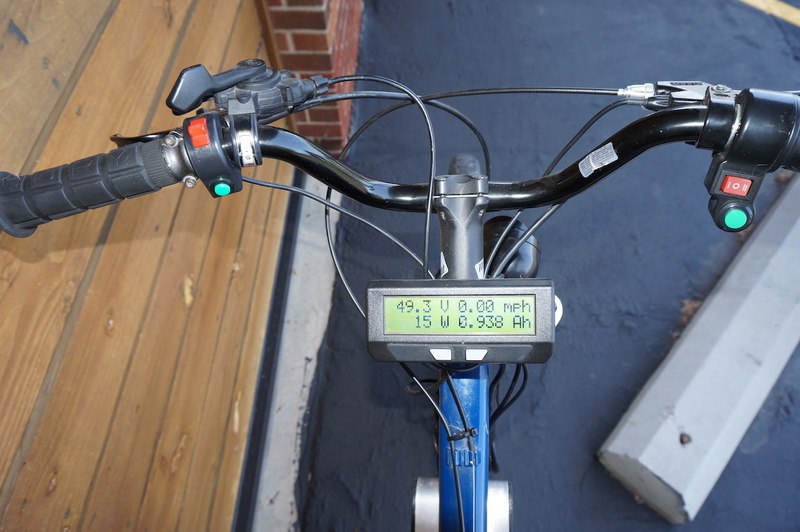 In real world use, average speed is 23 mph.